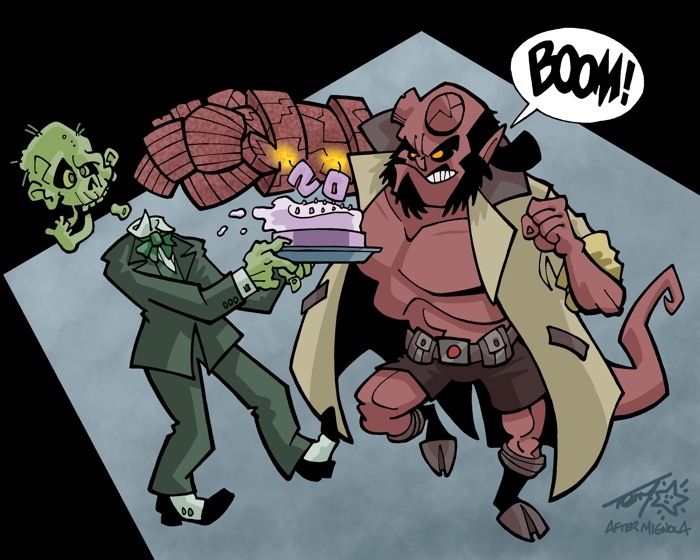 March 22nd is Hellboy Day, celebrating the 20th anniversary of the character. He’s popular at the Studio, Derek and Terry in particular are big fans. Here’s a bit of fan art Terry did in tribute.